The market didn't grow as much as was hoped for: today, there are about 475.000 EVs and 16.000 chargers on the US roads. Yet the US is making steep progress. 2016 is likely to see a growth of 25%+ compared to 2015. The mid-range priced 200 mile vehicle is arriving - Chevy Bolt anyone? And on top of that, US battery costs have come down with 80% over the last eight years. EVs are no longer a question of "what if", but "when". Buying in large quantities works - you get better prices. Whether it's toilet paper or EVs, it's the same principle. The Department of Energy (DOE) will work alongside state and local entities to purchase fleets of EVs. By creating purchasing volume, the entire industry will be able to commercialize readily available technology that brings the price of products and services down. In addition, it's also an ideal opportunity to heavily brand these vehicles as electric vehicles. 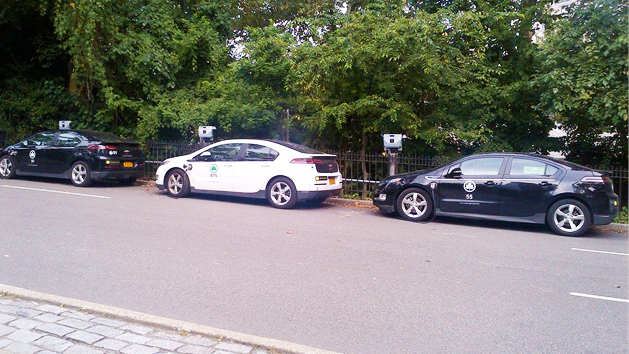 The majority of the EVs I see in New York, are city-owned. Yet as you'll see below, there's nothing about these cars that shows they're electric. The city is missing a huge opportunity to show its leadership in EV adoption. On the other hand, the DOE consistently gets EV charging under the spotlights with its workplace charging challenge. More than 600 workplaces with over 5,500 charging stations are now accessible to nearly one million US employees. Buying a charging station is the easy part. The installation and licensing are the biggest barriers. Data is yet unavailable, but this study provides some good insight. The DOE wants to streamline the permit process to install a charger. This is necessary, because with 400+ utilities and tenfold municipalities/states in the US it consumes additional time, which cost money. This process should significantly reduce the time lost on installation. The city of Amsterdam went through a similar process, where the installation time per charging station is now brought back from 10 days, to just 1 part of a day. The costs for a charging station aren't high. Unless circuit upgrade is needed. The DOE took notice and now calls for smart, connected charging stations to lower soft-costs. Since 2012, we've been practicing Smart Charging to avoid circuit upgrades and a high-demand charge. EV-Box charging stations are by default equipped with this functionality. Thanks to smart connected charging stations, a number of future revenue streams, such as demand response, will open up. The bottom line is: this is probably never going to happen. Yet the fear that it might happen, is enough to keep my friends away from buying an electric car. And that's a shame. As they opt in for a fossil fuel car, they won't be in market for an electric vehicle in the next 4 years. To take away their fear, some sort of corridor charging is needed to boost the market. The current low utilization and high operational energy costs of fast charging make it extremely difficult to create a viable business-case for corridor charging. With the new loan-guarantee capital becomes cheaper and it can attract private capital to install fast chargers along highways. Increased corridor charging will increase the demand for electric vehicles, and lead to a greater use of destination charging at home, at work or at retail facilities. Of course, some people will still be in favor of a gas station model for EV charging, or the scenario in which you can top up wherever you go. It's the same thing as locking up an Android and an Apple user in the same room, and let them decide which one is better. There is no right answer. We're emotional creatures with our own preferences. As part of the EV industry though, we should focus on the commercialization of charging stations, both corridor and destination. Apple and Android might fight, but together, they do share 90% of the market. Wouldn’t it be cool to have a 90% EV market share? 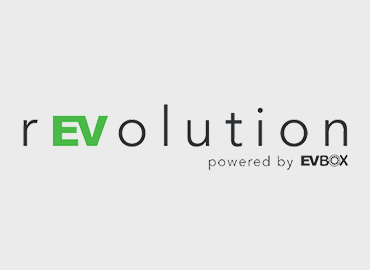 Get your monthly update of the latest EV news in your inbox. Subscribe here. Find the most essential facts and benefits of electric driving and charging in our latest e-book. Get your free copy here. No time to read? Tune in on Instagram and YouTube.